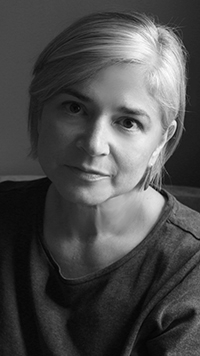 Born in Miami, raised in England and West Virginia, and educated in Texas, Joy Castro is the award-winning author of the memoir The Truth Book, two literary thrillers set in post-Katrina New Orleans: Hell or High Water and Nearer Home, the essay collection Island of Bones, and the short fiction collection How Winter Began. Her work has appeared in venues including Fourth Genre, North American Review, Salon, Afro-Hispanic Review, Gulf Coast, and the New York Times Magazine. Winner of the Nebraska Book Award and an International Latino Book Award, Finalist for the PEN Center USA Literary Award, and editor of the anthology Family Trouble, she’s the Susan J. Rosowski Professor of English and Ethnic Studies at the University of Nebraska-Lincoln, where she teaches creative writing, literature, and Latinx studies. She currently serves as the Writer in Residence at Vanderbilt University.